When travelling along Jl. Cinere Raya in Depok, West Java, you might not spot this modest eatery right away. Its rather small entrance does not help, but the Waroeng Indo signboard told me I was at the right place. Located right between Holland Bakery and Pastel Ma’Cik, long-term residents of Cinere should be familiar with Waroeng Indo. Some of them may even be loyal customers. According to one of the wait staff, Waroeng Indo has been around since 1996 – about 20 years. It features a very simple interior decor, with a few paintings adorning its walls. It uses long benches and tables instead of your common dining room tables and chairs. Melodies from the 1980s greet you once you step inside the establishment, silencing the noisy after-office Cinere crowd and traffic outside. I was quite surprised by their opening hours the first time I visited the place. It starts its daily routine at 10 a.m. and goes until 3 p.m. A three-hour break follows, and it then opens again from 6 p.m. to 8 p.m. Fortunately, after realizing that there are actually quite a lot of customers who like to stop by during its afternoon recess, the management adjusted its working hours. 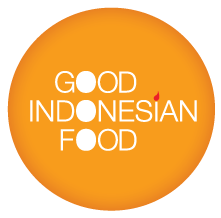 It offers an extremely varied menu, which includes the likes of tahu petis (fried tofu with paste), tahu telur (tofu omelette), gurame asam manis (sweet-and-sour gourami), ayam goreng Indonesia (Indonesian fried chicken), bakmi ayam (chicken noodles), kwetiau (flat rice noodles), sapo tahu (clay pot tofu), nasi goreng babat (beef tripe fried rice). It also has an assortment of refreshments, such as juices, teas and coffee. I ended up ordering two dishes. It seems Waroeng Indo’s lontong cap gomeh (rice cake with various richly flavored side dishes) has become quite a favorite of its customers. Compared to its lontong sayur (rice cake in coconut milk soup with chayote, tofu, tempeh and hard-boiled egg), lontong cap gomeh is richer in content, which includes long beans, liver-gizzards, ayam opor (chicken stew with coconut gravy) and eggs. Although there are only three pieces of rice cake, they are quite sizeable and velvety in texture. You could also ask for some crackers to accompany it and sambal to give it a bit of a spicy kick. My second order of the day was ayam goreng Indonesia. The portion size is quite large, which makes it a treat to be eaten with some steamed rice. It is served with crunchy flakes on the side that are dark brown in color. The chicken meat is tender and delicious, which signals that the seasoning used actually gets absorbed right into its insides. 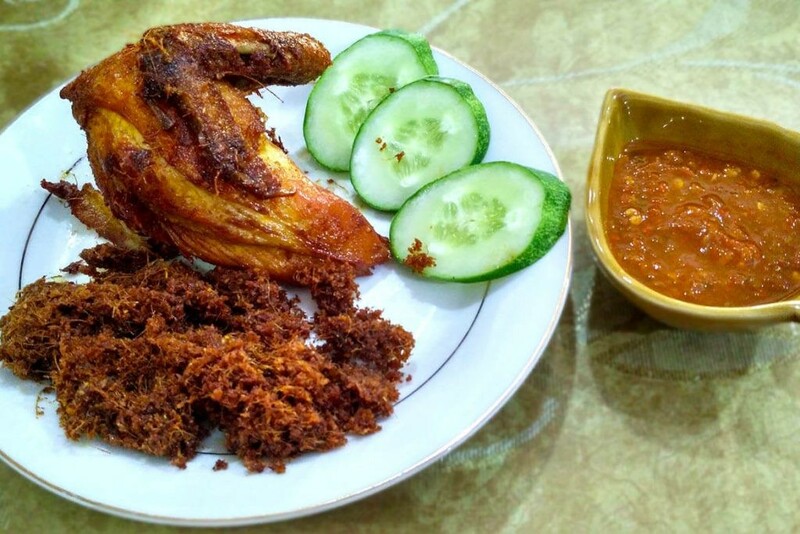 However, it would not be ideal to have fried chicken without some sambal and the sambal that is provided in a separate saucer is not too spicy yet has sufficient bite to pleasure your palate. Open daily from 10 a.m. - 8 p.m.